Something for your agenda lovely mamas! The So Chic Kids sale is a unique occasion to shop an amazing selection of preloved and new clothes from 6 months to 16 years. If you already love the So Chic concept you will love the kids event, be prepared to find clothes, shoes and accessories in perfect condition and a new stock from Bonpoint all that for a fraction of the price for your little ones! 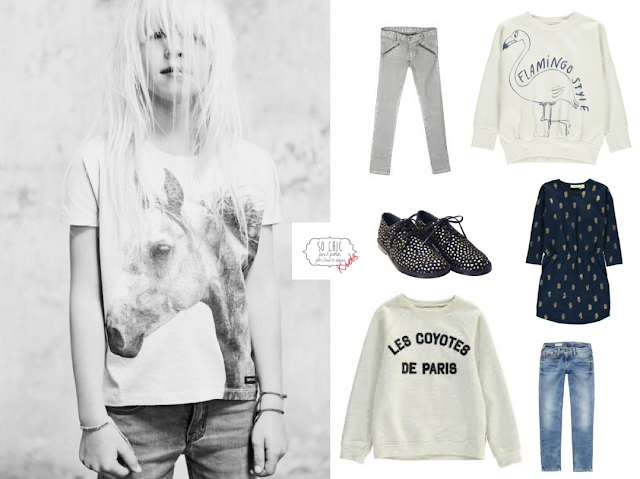 Shop the cool stuff, discover French brands from the rocking design of Finger in the Nose to the classic Bonpointgm style... Without breaking the bank! Check out Bellerose, Emile et Ida, Louise Misha, Soeur, Bobo Choses for unique gems from your kids closet. 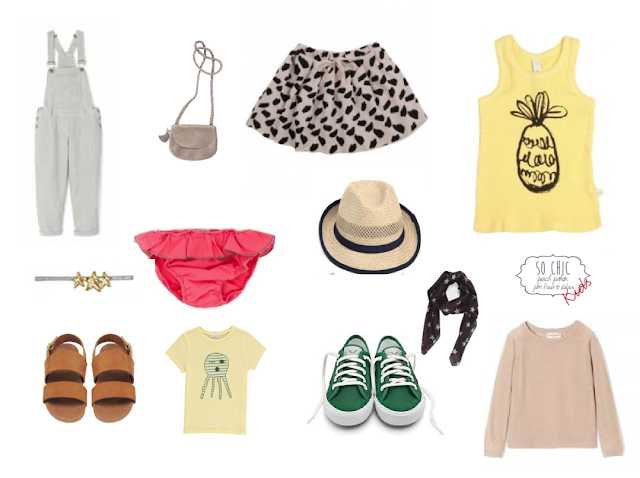 All available next week at So Chic Kids event. 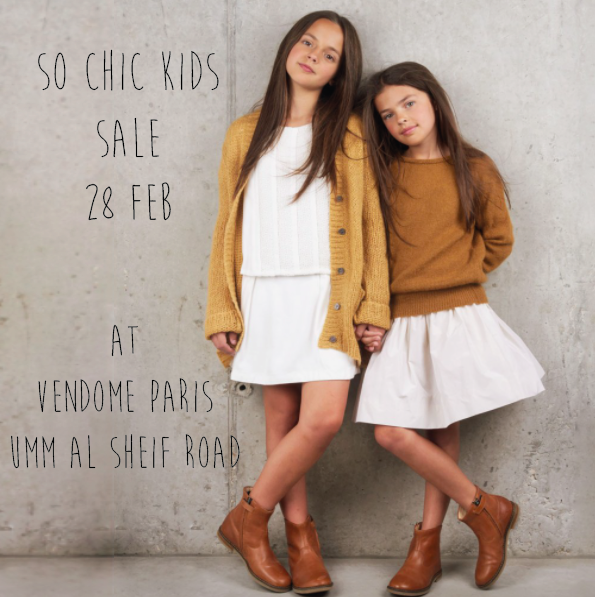 This time, the So Chic Kids event will take place in the newly open restaurant of Vendôme Paris on Umm al Sheif Road – Umm Suqeim 1. French “crêpe party” from 4.00pm to 6.00pm. 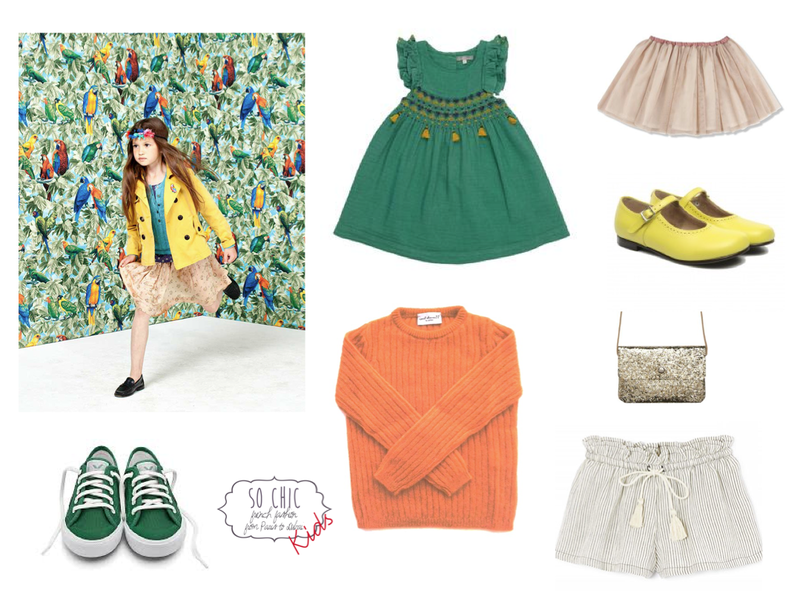 Get the chance to buy the Pommes Kids ‘s furniture and the Iris Barcelona’s lunch box. See you on 28th of February, I will be there! Doors open at 7.30am to 7.00pm.